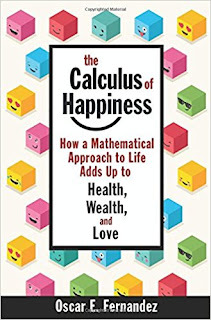 There's something of the 'How to win friends and influence people' about the subtitle of this book 'How a mathematical approach to life adds up to health, wealth and love.' Big promises indeed. 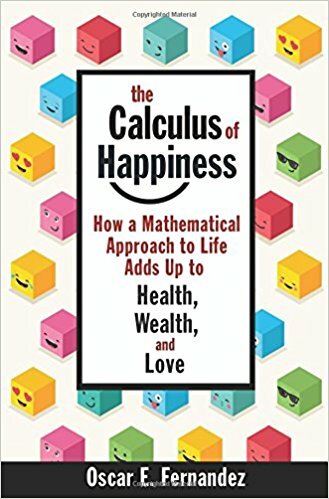 While I assume that there's an element of tongue in cheek about Oscar Fernandez's choice of these words, it's hard to read them and not expect this to be a book full of practical life lessons from maths - so we'll see how it does. The trouble with this approach is that, while Fernandez gives us a sensible overview of the meaning of the numbers he chooses to focus on, it's not at all clear that these are the correct numbers to be using to practically improve our health. We then move onto what felt to me like the most effective section of the book, where finances are covered. While the tax section only deals with the US tax system - it would have been good to have a version for at least the UK and Australia in an English language title - it still gives a feel for mathematical tax considerations, before moving on to give very effective numerical analysis for investments. The reason this felt most valuable is that it was the closest to something that could be of real use in everyday life. Not surprising, really, given that finance was one of the earliest direct applications of mathematics. Finally, we move onto love, or at least relationships. Apart from the approach often mentioned in 'algorithm for life' type books of who to choose in a sequence of accept/reject interactions, a mechanism that feels more applicable to job interviews than love, most of this chapter seemed totally impossible to apply. Even when the information itself was quite interesting, such as Nash's bargaining problem, the mathematical approach described requires information that simply isn't available to the decision maker - to suggest that this is in some way a practical approach seems a little naive. The author's aim was to encourage the reader to have more regard (or even to develop love) for mathematics by showing how it could be applied in these real world situations. However, the actual maths parts of the book seemed fairly dull to me (and that's as someone who isn't turned off by equations). Interestingly, and unusually, I was totally misled about the writer by his writing style, which seemed the work of someone significantly older than he actually is. I'm afraid the combination of over-promising, under-delivering and what is often a dry presentation meant that a good sounding idea didn't always work in practice. Oh, and the Kindle edition is wildly over-priced. For a better general 'everyday applications of maths' book, take a look at Algorithms to Live By. But I'd still recommend this one if you'd like to think more mathematically about finance.